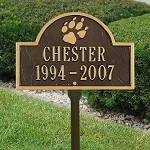 This memorial plaque is made of recycled rust-free aluminum and hand-finished. 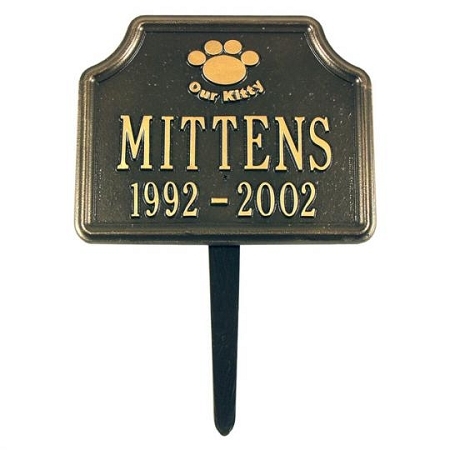 The paw print is cast into the sign. All hardware is provided. A screw (provided) goes through the plaque and into the stake. Plaque dimensions: 11" H x 9.5 W"